New auction hunters are some of the most enthusiastic people you will meet. They are ready to show up to their first ever mini storage sale and start plunking down cash on big units and clearing them out. They plan to hit several different auctions in a single weekend, and they know that every unit they buy up is going to help them turn a nice healthy profit. Unfortunately, brand new auction hunters are also some of the most naive people you will meet. Their expectations can soar way beyond the reality of buying and reselling storage goods via local auctions. If you are starting out your own journey as a storage auction buyer, make sure not to repeat these common 5 mistakes. New Auction Buyer Mistake #1 – Too Much Too Soon. Of course, I get it. Once you start piecing together the basics of attending local storage auctions and flipping the goods you find their for profit, it seems to good to be true. Firstly, there are auctions held every week all over the states. In some places they happen every day. This means you have a huge financial resource right near you. Next, attending storage auctions allows you to work on your own terms, make your own financial decisions or even start a small family business, all thanks to the flexibility of scheduling the auctions you want to go to that fit into your regular week. They’re even exciting. Many auction hunters simply love the thrill of a good competitive bidding war as the booming voice of the auctioneer decides the fates of the goods inside. But it’s too easy to get wrapped up in the excitement and to see only dollar signs. Yes, you can start making a profit off the very first auction unit you buy up, but it’s also possible that you won’t. 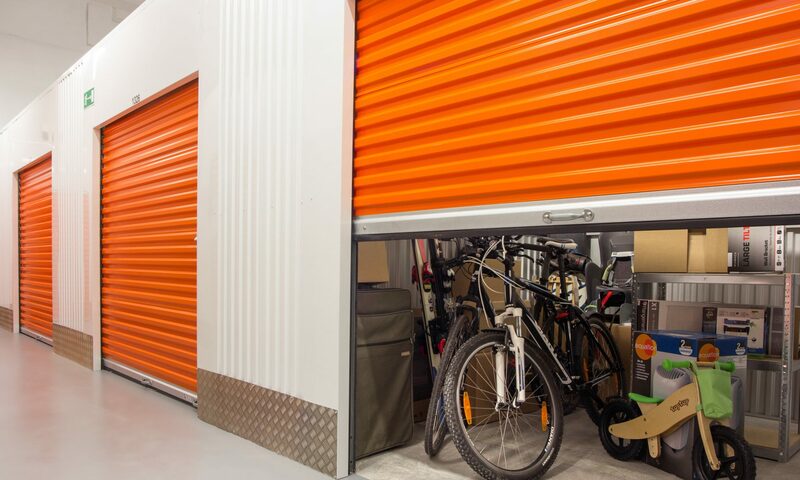 Keeping in mind that slow and steady wins the race, especially with making storage auctions into a source of a healthy side income, it’s important not to get ahead of yourself when you first start buying delinquent mini storage lockers. How come? Because it’s too easy to over-invest in your first few purchases. You put out a bunch of cash to get several different sized units, but before you even begin processing them and refurbishing the goods inside to sell, you’re off to the next delinquent storage sale where you plan to outlay even more of your hard earned cash. If you over-extend yourself this way in the beginning of your repossessed locker buying career, you can miss out on the natural motivation that comes from the first time you make a healthy profit on all the goodies you found in the storage sheds. It’s a fast way to burn-out before you even get started. I see this a lot, especially from the folks that got turned on to repossessed storage sheds by shows like Auction Hunters or Storage Wars. Remember, these shows are in the business of getting their episodes watched. They have to be entertaining, which means they’re necessarily exaggerated. Does this mean that you should never buy a bigger garage sized unit? Absolutely not. In fact, they have some of the best profit margins, generally speaking. However, I would recommend that newcomers to the repossessed storage shed scene start out small and grow gradually. There’s absolutely nothing wrong with sticking to the little closet-sized 5×5 units when you’re first getting your feet wet. Smaller units are easier to buy, in general, because many of the other auction attendees will overlook them, thinking they are of less value. Meanwhile, they’re easier to load into even a small two door car and drive home. This means you can have your purchased storage shed emptied in one go, and not be stuck toiling in the hot sun at a storage facility all day long, making repeat trips to and from your home, simply to claim your winnings. In fact, it’s a great starting experience to go to an early morning auction, buy up one small unit, and return home to process and list on eBay everything you’ve found therein. Doing an entire storage unit in one day will help you to know if buying up repossessed lockers is for you or not. It can be a great thrill to have a day off, attend an auction in the morning, and have everything from inside it listed on eBay that very night. Then all you have to do is just sit back and watch the profits roll in. This is a good way to lose money when you are first starting out. Letting your emotions get the better of you and start dictating your bidding behavior is a big NO-NO. It’s the best way to get taken for a ride and give all your hard earned money to the storage company and the auctioneer without any significant return on your investment. I see this happen more often with the fellas than with the ladies. Machismo and bidding do not a happy pair make. If you think that some guy in the crowd is trying to move in on “your” unit and outbid you, then you have already lost, and all you will achieve at the end of your head butting session with this stranger is a bigger bill. That’s why it’s important to set budgetary limits and bid ceilings for yourself, before the action starts heating up. It’s far easier to approach your limit of, say, $140 for a promising 5×5 unit, and then fall back once the leading bid exceeds $140 when you’ve already established that boundary in your mind, than it is to simply “stay reasonable” when you’re caught up in the excitement of bidding back and forth. Another way to approach this problem, if you do know yourself to have a vulnerability to this kind of gambling behavior, is to use the buddy system. Bring your partner, spouse or best friend along with you when you attend a storage auction and discuss reasonable bid ceilings right after viewing each unit together and before the auctioneer starts making calls. Once you have successfully bought and paid for a repossessed storage shed, all the stuff inside is no longer their stuff, it’s your stuff. This is great. It’s the crucial step that allows you to begin profiting off your efforts. However, keep in mind how your stuff’s previous owner got into an auction situation in the first place. They did it by sitting on this very same stuff for too long. Instead of getting rid of some of it by selling it or giving it away or stuffing it into the back of a buddy’s garage, they just sat on it. Then they lost it. You, as the successful auction hunter, aren’t necessarily at risk of losing it like they did, unless you’re foolish enough to put it into another storage unit. But you are at risk of having it just pile up around you to no effect whatsoever. Here’s a little mental exercise to help you get into the right spirit regarding all the things you find inside any repossessed storage shed you buy up: treat it all like it’s stolen and you’re the thug that needs to hustle it all away for profit. Get rid of it. Now. Clean it all up. Research reasonable market prices. Get it listed. Call up interested stores or third parties for the big items. Get it sold. I learned this approach from working in a professional eBay sales warehouse. Stuff came in, we cleaned it up and tested it, and then listed it like there was no tomorrow. The boss man had been successfully selling on eBay for close to a decade, first out of his own garage and then eventually from a commercial warehouse that could hold all his inventory. Of the many things I learned from him, perhaps the most valuable was regarding turn around time. We would list something once, maybe twice if it was something we knew was a specialty item that was just being overlooked, but after that it either got scrapped for metal or sold at an absurd liquidation discount. You might think that those three items you’re sitting on in your basement, that you keep listing again and again unsuccessfully, are your key to some nice coin, but the fact of the matter is that in the time you’ve wasted not selling anything, you could have converted several smaller items or increased your inventory five-fold by attending one or two more auctions. Remember, you’re probably not going to find your first big gold cache in the first storage locker you repossess. You could, but you probably won’t. Many new auction hunters go into this business with overblown expectations and then bounce out of it just as quickly when their first few purchases don’t produce diamond necklaces. One of the hardest things to explain to new auction buyers is that this is a long march, not a quick sprint. You need to look at buying and flipping delinquent storage units as a long term process that, over time, produces a healthy side income. Will every unit you buy put you over the top? No. Will you sometimes get closets full of other people’s trash and dirty clothes? Yes. If you keep up a steady and determined workflow of buying up delinquent sheds and reselling everything inside, will you make money? Yes.